Zhu Jianer (1922 -), Anhui Jingxian County people. Born in tianjin. Growing up in Shanghai. The Shanghai Symphony Orchestra professional composers. Zhu Jianer's works have the orchestral "Festival Overture", folk music ensemble "turning over day" String Quartet, four two (one with Shi Yongkang), for Oboe and Piano "Spring Song" Piano Concerto, "five Yunnan folk songs," unaccompanied chorus divertimento "green water", solo "sailing" and "clear memory", and the film "eternity in flames" music etc.. Songs are "playing", "a folk song to the party", "took the Lei Feng's gun", "clear memory", the folk music ensemble "turning over day", "the first piano prelude, tell you", "Prelude No. second ? 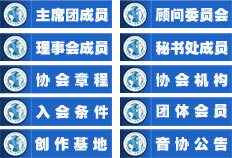 water", with "Orchestral Music Festival Overture", symphonic chorus "heroic", symphonic Fantasia "memorial dedication for the truth warriors", Symphonic Suite "Qian Ling sketch", the tone poem "a wonder of Naxi", "first symphony", "second symphony" etc.. Zhu Jianer began writing symphonies from the age of 60, in a short span of 22 years have carved out 10 belonging to the Ministry of Chinese his symphonic works, these numbers, can be regarded as a miracle.